This is the 7th of 9 blogs in the series How to Get Pregnant Fast. In this article I am going to explain the importance of emotional wellbeing to your fertility. Becoming a parent is one of the major transitions of adult life for both men and women and the stress of not being able to experience this has been associated with a range of psychological problems including anger, depression, anxiety, feelings of defectiveness and incompetence, relationship problems, sexual dysfunction and social isolation. When you decide to have a baby you step onto a rollercoaster of emotions that doesn’t ever really end. Trying to conceive presents you with a raft of emotional challenges, once you conceive you face the challenge of pregnancy and then when your baby is born you face the challenge of parenting. Learning to better manage your emotions at this stage will benefit you not only now but for the rest of yours and your children’s life. 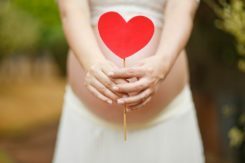 Another reason to give this part of your wellbeing attention when you are trying to conceive is that evidence suggests that poor mental health has a detrimental impact on fertility. One study reported a 2-fold increase in the risk of infertility among women with a history of depressive symptoms. It is thought that depression and anxiety could directly affect fertility by elevating prolactin levels and disrupting the hypothalamic-pituitary-adrenal axis, thyroid and immune function. Depression and anxiety have also been associated with abnormal regulation of luteinizing hormone, a hormone that regulates ovulation. We have evolved to feel emotions and like all of evolutions creations emotions are fundamental to our existence and survival. Our emotions allow us to navigate through life, enabling us to face challenges, cease opportunities, avoid danger and ensure the ongoing survival of our species by creating a bond between us and our young allowing us to care, protect and nurture them. All other emotions are variations on these four. Identify the emotion(s) that you struggle with the most and go to the section on this emotion for strategies on how to manage it better. Although some people do struggle with happiness, this is usually an indication of a deeper level problem that is likely to need professional support (see section below) and therefore its management is beyond the scope of this book. If after working through this programme you feel as if you need some additional help to manage the psychological and emotional challenges of trying to conceive a child and becoming a parent a course of Cognitive Behavioural Therapy may be useful for you. Cognitive Behavioural Therapy (CBT) is a talking therapy which equips you with a comprehensive understanding of why you are struggling with an issue and a clear set of psychological and practical tools to resolve this. CBT has a robust evidence base across a range of emotional and physical difficulties including fertility problems. For example, in a study of women who were not ovulating, one group received CBT and the other group was just observed. 80% of the women who received CBT started to ovulate again, as opposed to only 25% from the randomized observation group. The British CBT & Counselling Service is a team of Doctors of Clinical and Counselling Psychology specialising in the use of CBT for individuals with fertility problems and the associated psychological and emotional challenges. For more information on CBT please contact them.